I am often asked how I manage sticking to my strict vegetarian (almost vegan) diet when I am traveling. The truth is, I’ve never found that to be an issue. Am I saying that having restrictions in your diet is not at all challenging – especially when you are miles away from home – may be in a place where not many speak your language? Truth is – Its Not! Yes, I’ve had chicken on my plate, and soup cooked in meat broth and “you don’t eat fish? ?” reactions like it’s a crime. Yes, the options are limited at times. If you can get around the language of the place, it is almost always possible to get something custom-made if there aren’t already atleast a couple of items on the menu. Spell it out – sometimes just saying you are looking for Vegetarian food doesn’t help. I have found soup with meat broth, lean chicken and fish on my table when I asked for vegetarian. So spell it out! 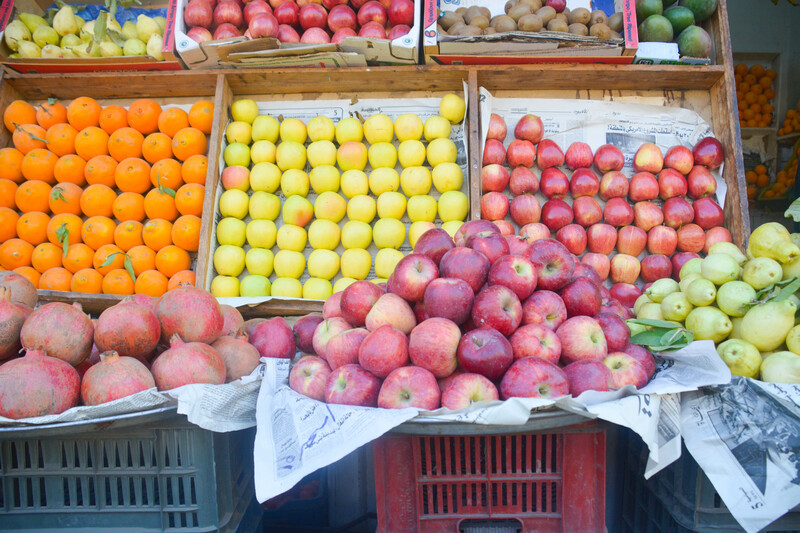 Enjoy all fruits the place has to offer – they are always vegetarian! Golden Rule : Don’t mess with the people who handle your food!! =)) So try not to customize things too much to the extent that its starts bordering on annoying ( learnt this the hard way) – sometimes you gotta just adjust with what’s available and enjoy the experience. These are some pictures from our trip to Egypt. It was one of the places that I’ve traveled– where language was a huge barrier. Not many people speak English, and it was even more difficult to come across the ones that actually did speak the language. But once I found my way around it, I was surprised to find that Egypt had so many vegetarian options to offer & moreover there falafels there were hands-down the best ones I had ever eaten! 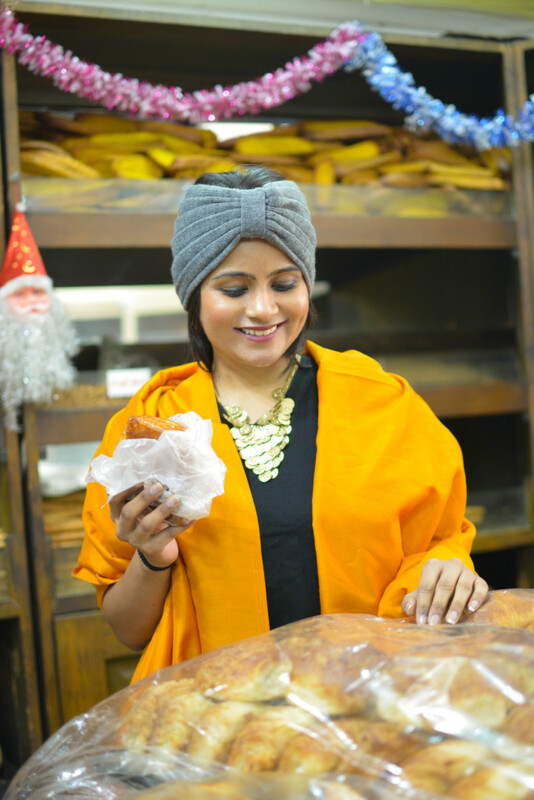 We always make it a point to eat the locally grown fruits – it gives you the best idea of the taste of the place in its most unadultered form. 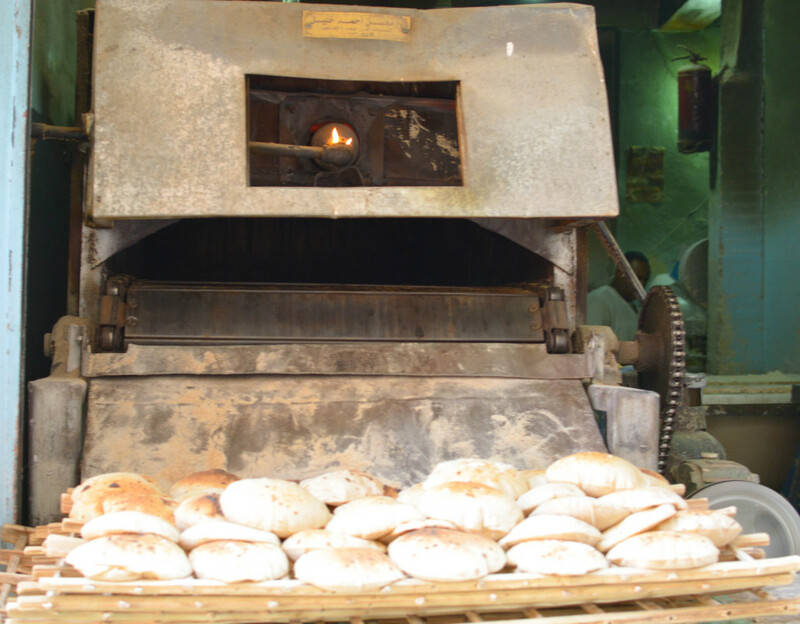 This was my favorite part – known as “Aish Baladi” – there were these rustic looking ovens in every block on every street popping out freshly baked bread. The was a smell of this freshness wafting all around. Must Try when in Egypt. How grumpily cute is this man! 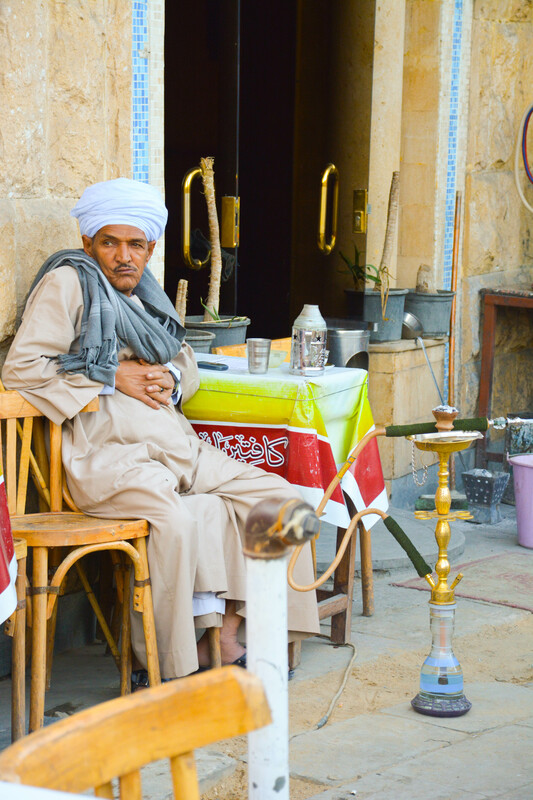 Sheesha is such an integral part of the Egyptian life and culture as a whole – every second person could be seen smoking them, no matter what time of the day. We got home the prettiest hookah with silver stones and egyptian mosaic – I love the egyptian charm it brings to our dining room!